A new model for predicting heart disease and stroke risk among women can help better identify those who need preventive treatment, say the researchers who developed the model. The model adds assessment of family history, as well as blood testing to measure inflammation — called C-reactive protein (CRP) levels, to the established risk factors now used to predict the risk of heart attack or stroke. Use of the model in a group of women previously classified as having an intermediate risk for such a cardiovascular event resulted in reclassifying between 40 percent and 50 percent of the women to either lower or higher risk categories. The findings are published in the Feb. 14 issue of JAMA, The Journal of the American Medical Association. "We were very surprised that just these two items — adding CRP and family history — made such a large difference," a study author, Paul M. Ridker, M.D., M.P.H., tells WebMD. 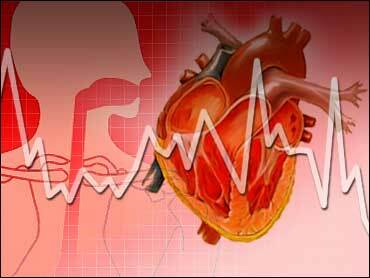 Coronary heart disease is the leading killer of women in the United States. Nearly twice as many women die from heart disease and stroke as from all cancers combined. Current models used to predict cardiovascular risk include assessment of a patient's age, total cholesterol level, high-density lipoprotein (HDL) cholesterol level, smoking status, and blood pressure. In an attempt to refine the model to more accurately predict risk in women, Ridker and colleagues from Boston's Brigham and Women's Hospital examined 35 separate risk factors for stroke and heart disease in roughly 16,000 healthy women followed an average of 10 years. The researchers then tested the usefulness of their model in an additional 8,158 women. The researchers determined that just two of the new risk factors — having a mother or father who had a heart attack before age 60 and having a high sensitivity C-reactive protein — added to the ability to predict problems. Ridker tells WebMD that the model, known as the Reynolds Risk Score, can help doctors determine if a woman needs preventive treatments like low-dose aspirin and cholesterol-lowering drugs (statins). A major advantage of the new tool is that it predicts risk over many decades, instead of just over 10 years. And it shows how lifestyle changes such as stopping smoking will impact risk, Ridker tells WebMD. The model can be found at www.reynoldsriskscore.org. Cardiologist Roger S. Blumenthal, M.D., tells WebMD his own work at Johns Hopkins University in Baltimore, Md., showed the importance of including family history in assessment of cardiovascular risk. "Right away, practitioners around the country should start incorporating family history into their assessment of [cardiovascular] risk," he says. The advice regarding C-reactive protein is not quite as clear. CRP blood testing is not currently recommended as a routine test for measuring cardiovascular risk. In a 2003 policy statement, officials with the American Heart Association (AHA) and the CDC wrote, "We have no evidence that treatment strategies based on CRP levels improve survival or reduce cardiovascular complications." Blumenthal says the new study may change that. "The [new findings] support the idea that when a doctor or patient is on the fence about lifelong aspirin or lipid-lowering therapy, CRP testing can be helpful," he says. But New York cardiologist and AHA spokeswoman Lori Mosca, M.D., Ph.D., remains unconvinced. "CRP testing is not routinely recommended nor has it been proven that this test lowers risk," she tells WebMD. Mosca adds that risk prediction models are not widely used in the clinical setting. "There have been many attempts to create more precise models to predict [cardiovascular] risk, but most treatment decisions are based on clinical practice guidelines," says Mosca. "If a patient has high blood pressure you treat it, regardless of what a prediction model says"
SOURCES: Ridker, P.M. Journal of the American Medical Association, Feb. 14, 2007; Vol. 297: pp. 611-619. Paul M. Ridker, M.D., M.P.H., director, Center for Cardiovascular Disease Prevention, Brigham and Women's Hospital, Boston. Roger S. Blumenthal, M.D., cardiologist, Ciccarone Preventive Cardiology Center, Johns Hopkins University School of Medicine, Baltimore, Md. Lori Mosca, M.D., Ph.D., M.P.H., director of preventive cardiology, New York Presbyterian Hospital, New York City; spokeswoman, American Heart Association. AHA/CDC Recommendations on CRP Testing, Jan. 28, 2003.